NASDAQ live stock quotes. Get free online live updated NASDAQ stock quotes. The broadcast here airs live updated NASDAQ stock quotes along with other research programs and business analysis. NASA TV live. Watch free online NASA TV live broadcast. NASA TV is a television network which is the property of United States space agency. It is currently owned by National Aeronautics and Space Administration and has its headquarters in Washington D.C.
Are you fervent to drive traffic to your website and also want to keep the track of all traffic? Google analytics is a solution for the webmasters across the globe and according to a rough speculation there are more than one millions users of Google Analytics. There are many things which make this “Traffic tool” among webmaster and it has been added as an essential SEO tool which keeps you up-to-date with the traffic on each page of your website. After almost ten long years, Microsoft has decided to bring in a major change to the outlook for its website portal; msn.com. In other words, lesser links and more facebook, Twitter and other social networking tags will now be seen on msn web page. Samsung has announced its new entry level mobile phone Samsung C5130 will be launched in December 2009. It is a slider phone available in a black color. The handset seems to be an inexpensive so that people can easily afford and enjoy. Nokia recently introduced a new stunning look and eye catching Nokia 7230 mobile phone coming very soon. This new handset is slider mobile phone available in two beautiful colors which are grey and pink. So both genders can enjoy this wonderful mobile phone. The user’s requirements are always on priority by the Nokia that’s why company is always trying to serve its customers by innovative mobile phone models. The new Nokia 6700 Slide is an elegant and modish mobile phone recently announced. 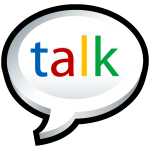 Google Talk Messenger is a freeware messenger incorporated with Gmail account. This messenger support text, audio and video communication among Google Talk friends. Google added all the advanced features in the Talk messenger so that people can enjoy better communication.